Life is full of ups and downs. Just when you feel you have everything under control, life quickly knocks you down and reminds you it’s not! However, that does not mean you should stop trying! One thing that your elders and family members will always teach you is to never ever give up! In life, there are always surprises, which can sometimes be bad and sometimes be good. However, the important thing is that we must be prepared for that and once the day is over, be aware and thank the universe for ending up alive and having another opportunity to admire the beauty of things that surround us. Incredibly, most people live their lives with a closed mind, but if we only stopped to look in detail and observe what the universe offers us, we would find great opportunities and wonderful places to unleash our creativity and find reasons to be happy in life. The task is simple, but not easy! You have to try to open your mind to all the possibilities in which you can succeed. You must always bear in mind that experiencing different things can change the way you see the world or what you expect from life. This phrase could describe at some point the life of each one of us, the setbacks we have and the changes we want, but never try to achieve. This is because we do not know how to adapt and insist on doing the same thing that brought us here. In the face of adversity, the important thing is to be strong and never ever give up. We need to be aware that in this world, there are people who experience worse pain, both physically and mentally, and still move forward each day. It does not matter where we come from, how old we are or what we do. What matters is that we all have been given the opportunity to do something different, to change the face of our life, to start again and make things happen for ourselves. It’s never too late! The key is in staying motivated, taking the bull by the horns and doing something different with determination. Taking that first step is the cornerstone to finding the life we ​​really want to have. 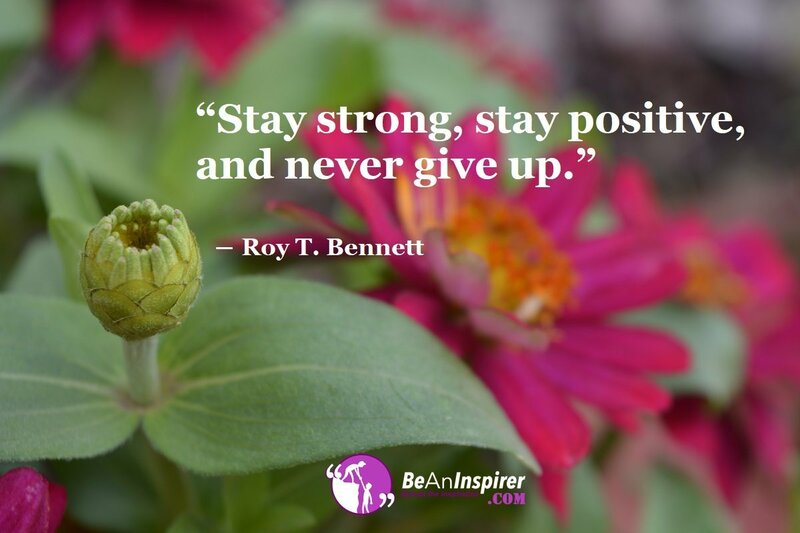 So, How Do We Never Ever Give Up In The Face Of Adversity? We all have something to give or a mission to succeed in. Before starting this fight, we must be mentally prepared that reaching the goal of a professional, financial, personal or spiritual level will always require sacrifice, discipline, and consistency. In life, you have to be consistent, patient and optimistic to reach the goal. 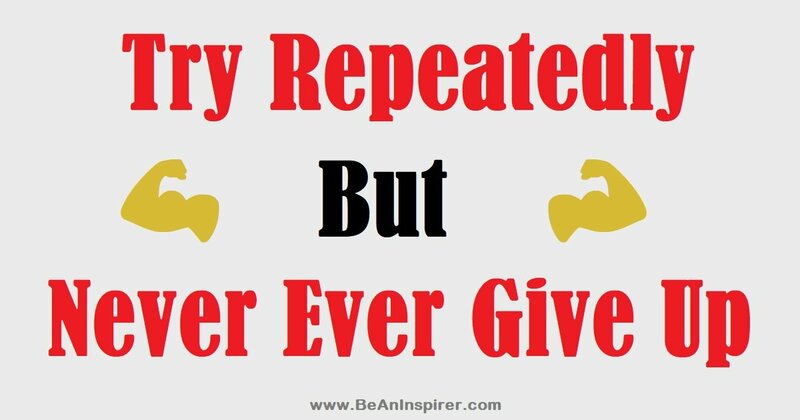 Perseverance is yet another essential virtue, and you have to remember that no matter what, you can never ever give up!